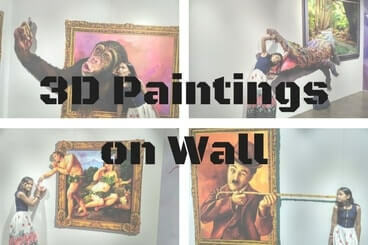 Three dimensional wall painting are actually two dimensional drawing done on the wall to give you 3D optical illusion look from a certain angle. These are wonderful breathtaking paintings once you get the angle right. 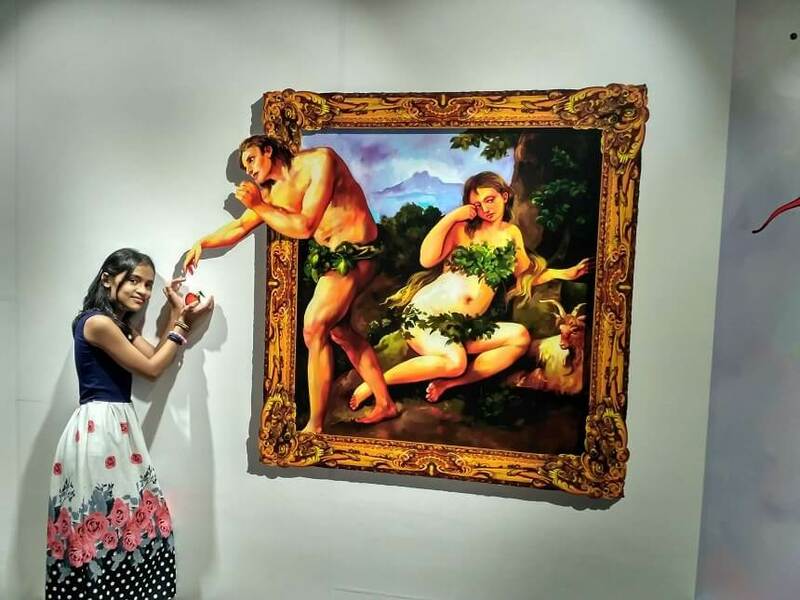 These 3D Paintings are getting very much popularity now a days. Some of these paintings are done on the open street to give realistic 3 dimensional look is called 3D Street Art. 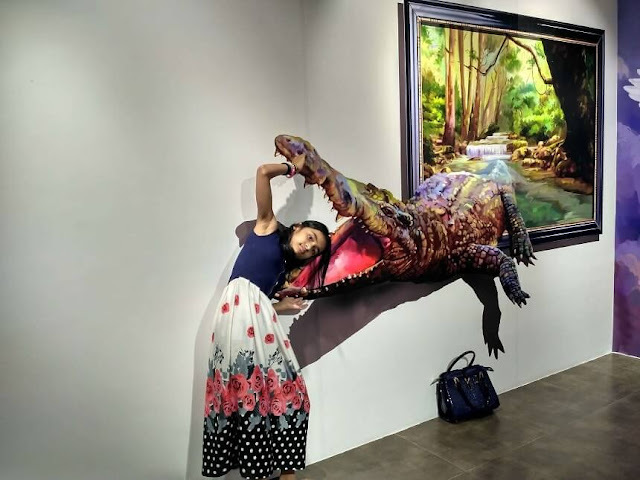 Some of brands are also trying to use this 3D paintings to give push to their advertisement campaigns. 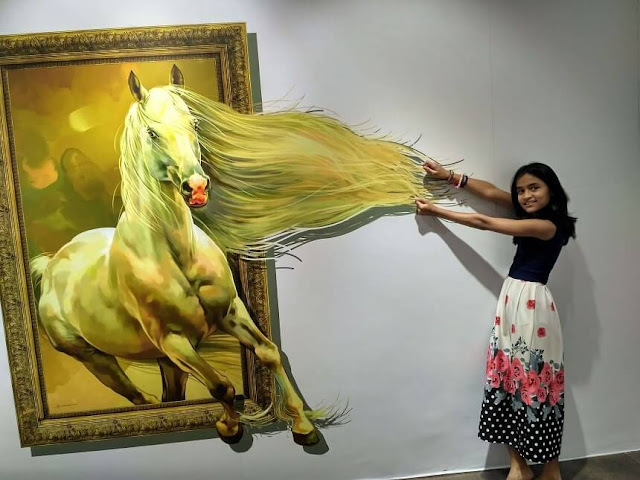 Recently we could experience this 3D Painting Art in our City. 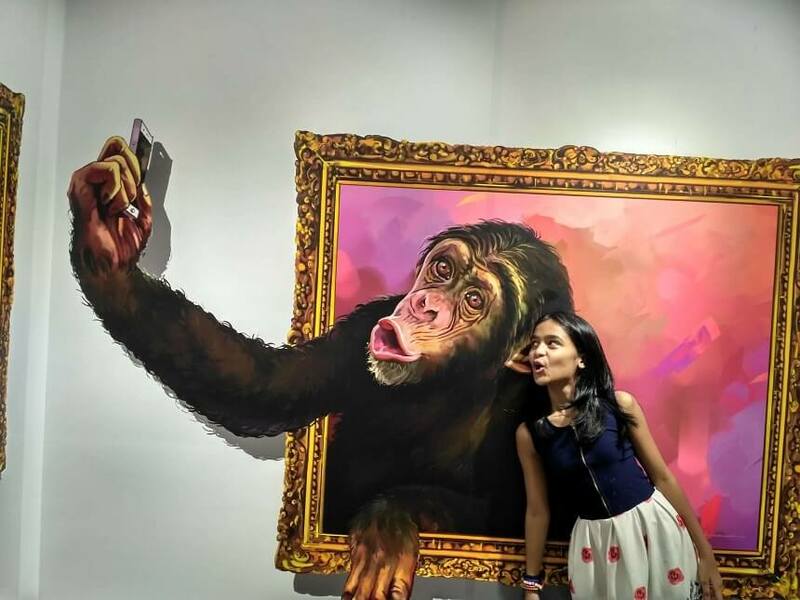 Thanks to IONA Entertainment for bring #SelfieMuseum to Bangalore where we could first time experience this 3D creative art work. 1. 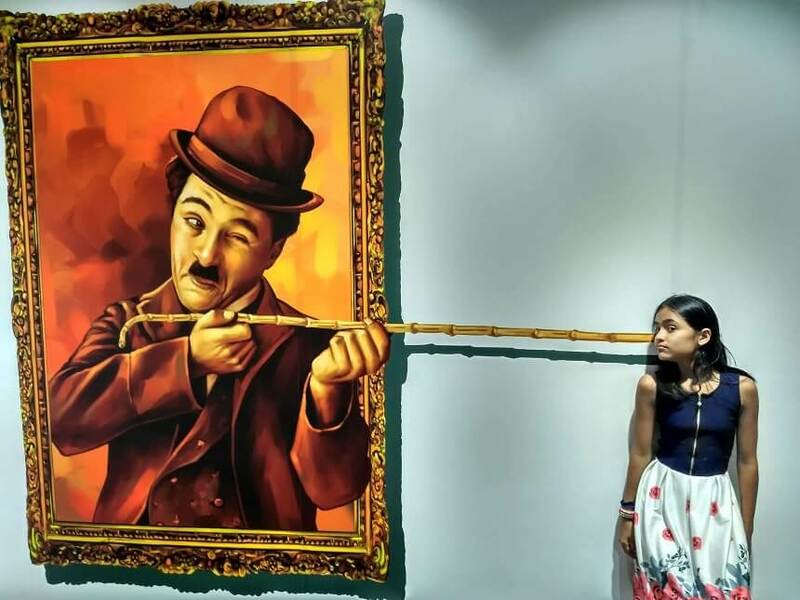 Funny and Amazing Optical Illusions: Do checkout some funny optical illusions which will amaze your mind. 2. Tricky and cool brain teasers of finding mistakes in given pictures: Can you find the mistake in picture? If you have good observational skills, then do try out these tricky and cool brain teasers in which you have to find the mistake in picture. 3. Intelligent Reading Puzzles to Twist your brain: After finding the mistakes in pictures, do try to read the text in the given reading puzzles to twist your mind. 4. Brain Teaser Picture Puzzle to test your observational skills: Simple brain teaser picture puzzle in which you have to find the odd one out in the given picture which will test your visual skills.